I relined my bands with Kevlar and a trailer hitch sure was helpful. 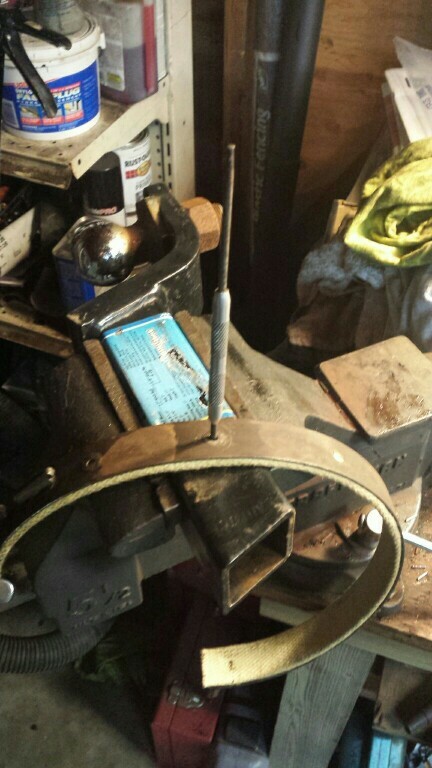 First I turned the hitch sideways in the vice to use the mounting hole to poke the hole in the band. Great idea !! The finished product looks good too. Don't forget to check to see if the bands are round. Use an old drum if you have one or anything of the same diameter. Use wire or a zip tie to close the bands to the right diameter then check that the lining is contacting all the way around. You can just bend the bands by hand if necessary. Finding something that works is the trick. Did you split the rivets apart a little before you used the trailer hitch ball to set them? All very clever. I will likely borrow some portions of this. For those about to perform this job, if you have the tool, it's best to get the rivets to reverse-curl back into the material rather than pound them flat. Flattening places a sharp bend in the rivet and it is impossible to get all the flattened brass sufficiently down into the band material. With the curled rivet, it will clinch far deeper into the band and have no stress risers...this provides for many more miles before the rivet contacts the drum, and the tangs will never wear off or come off the rivet (at least they won't for many many more miles than flattened rivet tangs). By the time they contact the drum, the lining is mostly gone anyway...not so with tangs pounded flat. Thanks for the post Doug, We'll be doing this in the next few weeks. I use a 4 lb. 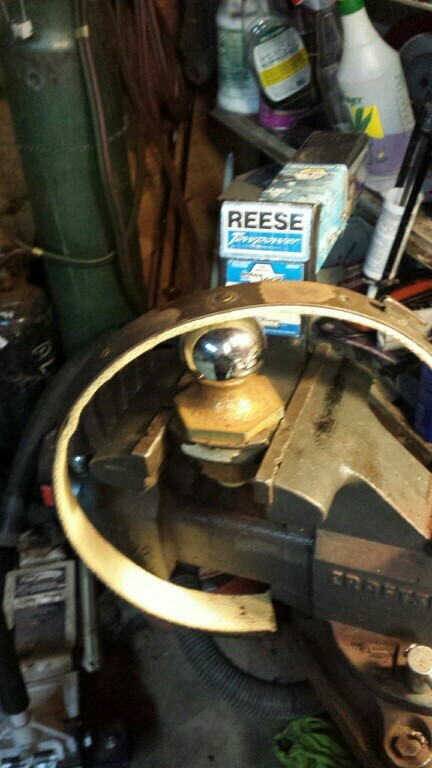 hammer turned sideways in my bench vise. 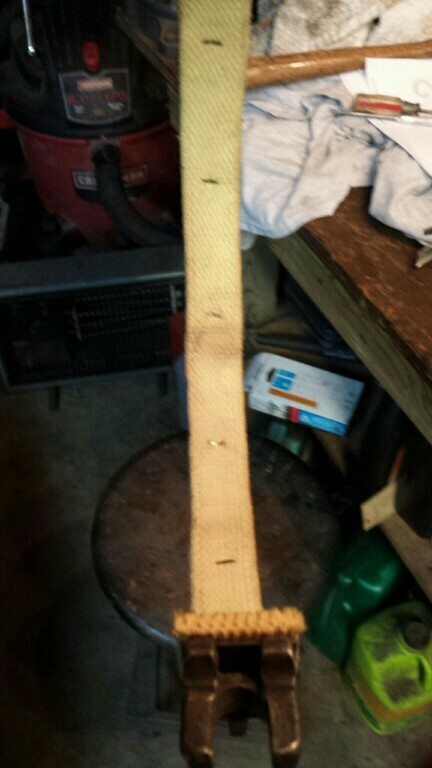 Most any larger hammer that has a flat face is good for a backup when putting on new band material. Winter overalls. I think they were fairly new then. I believe the instructions that came with my bands said to use a tool like Steve's (or the special band/brake rivet pliers) to spread and curl the split rivets, then bash the rivets down with the ball end of a hammer until they're recessed below the surface of the band lining.